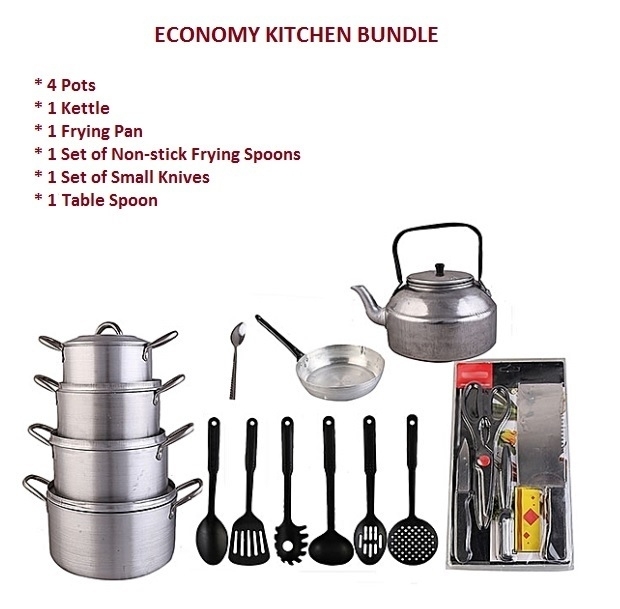 This is an economy kitchen set bundle for all types of homemakers, it comprises the very essential kitchen tools and utensils that everyone needs and make setting up a kitchen incredibly fast and easy. Have you just rented an apartment and don’t want to waste money setting up the house? This bundle is for you. Youth corp members, new families, students and workers will find it equally useful. Have you just relocated to a new town? This essential kitchen set is perfect for you.